Skywalker Tree Company in Charleston, SC is a reputed tree care operation offering quick and professional services. Whether it’s a residential property or a commercial one, no matter the size of the job, you can rest assured we know what we are doing. All of our services are professional, immediate and guaranteed to be a completely thorough job. We operate in a 15 – 20 mile radius in and around Charleston. We undertake house clearance tree trimming up to a height of 8 – 10 feet. Ornamental pruning and vista pruning services are also provided. This can be for ornamental purposes, to make your yard or drive way look better. It can also be because a tree is hazardous or dangerous, and needs to be removed for safety purposes. Our company also undertakes removal of diseased or dying trees. The hauling will also be taken care of, once the tree is removed. If you require an arborist letter before you can remove a tree, we can help you get one. Stump removal is not a service we personally provide, but we can get you in touch with people who provide the service. Want some vista pruning? Need a tree hauled? Want to cut down a diseased tree? 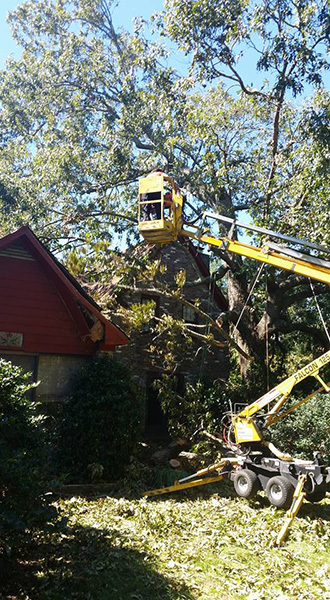 Take a look at all this and more work undertaken at Skywalker Tree Company in Charleston, SC.